This page discusses some of the in-progress research on which I am working. Redlining Again? Spatial Differences in Residential Mortgage Accessibility during Boom and Bust in Ohio is a report to the Ohio Real Estate Commission, Grant 2016-001, which examines mortgage lending patterns in five Ohio metropolitan areas: Cincinnati, Cleveland, Columbus, Dayton, and Toledo. The report’s analysis compares neighborhood residential mortgage lending patterns in the periods during the housing boom (2004-2007), during the bust (2008-2011), and during recovery (2012-2015). Daisuke Nagase is the first author on this report. Ray, A.; Gallo, M.; Green, P.; Velarde, S.; Ibarra, B.; Airgood-Obrycki, W.; Kleit, R.G. (2017). Homelessness and Education in Florida: Impacts on Children and Youth. Shimberg Center for Housing Studies, University of Florida, Gainesville, United States; Miami Homes for All. These articles focus on poverty and the things that could ameliorate or exacerbate it (like access to homeownership, access to credit, and workforce and economic development) as well as how to measure the spatial distribution of urban poverty at the county level. What are social relationships like in mixed-income housing settings? Does living with people who are different from you are create relationships? Are the relationships created useful for social support, economic stability? These articles focus on the anticipation and experience of relocation due to public housing redevelopment. The populations for these students include ethnic immigrants from Vietnam, East Africa, and Cambodia, as well as US-born people of color and anglos. As affordable housing policy has changed over the 35 years or so to become more focused on using the market to deliver affordable housing, how have public housing authorities changed? What makes them innovate? 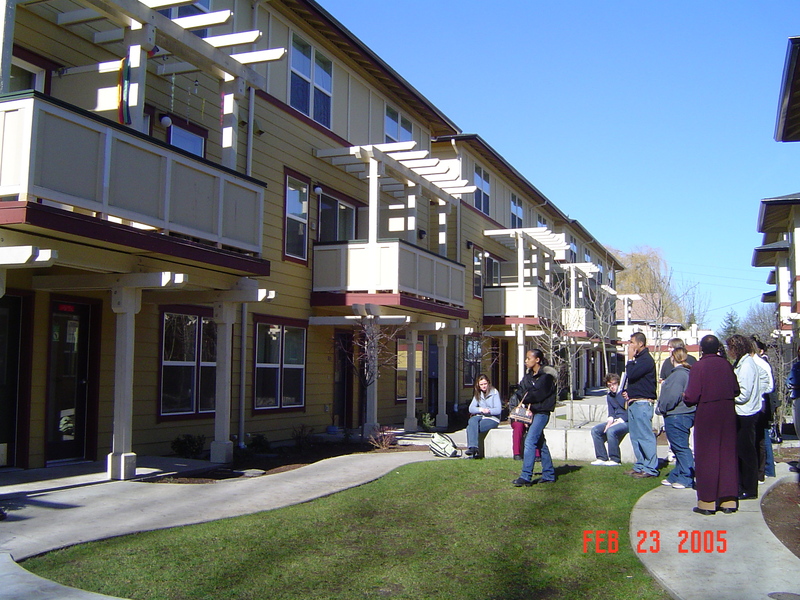 How does public housing transformation happen in equitable ways? Assisted housing self-sufficiency programs use vouchers or public housing as a platform for engagement in social services, education, and workforce development. These are the 10 evaluation reports from the 5 HOPE VI public housing redevelopment projects on which I have worked since the early 2000’s.